While on our trip to the Chicago Cubs Convention, we took an afternoon to hit the town. We went to this great little restaurant Bella Bacino’s. I had a good Chicago pizza, and Jen had some really fancy chicken with mushrooms and truffle sauce. Afterwards, we went somewhere that I have been longing to visit for years: Intelligentsia Millennium Park. 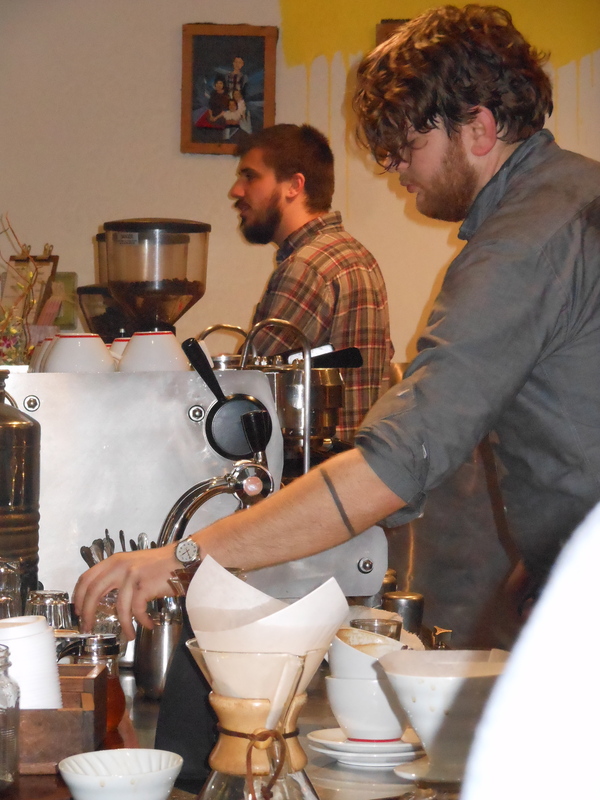 Intelligentsia is one of the top roasters in the country. 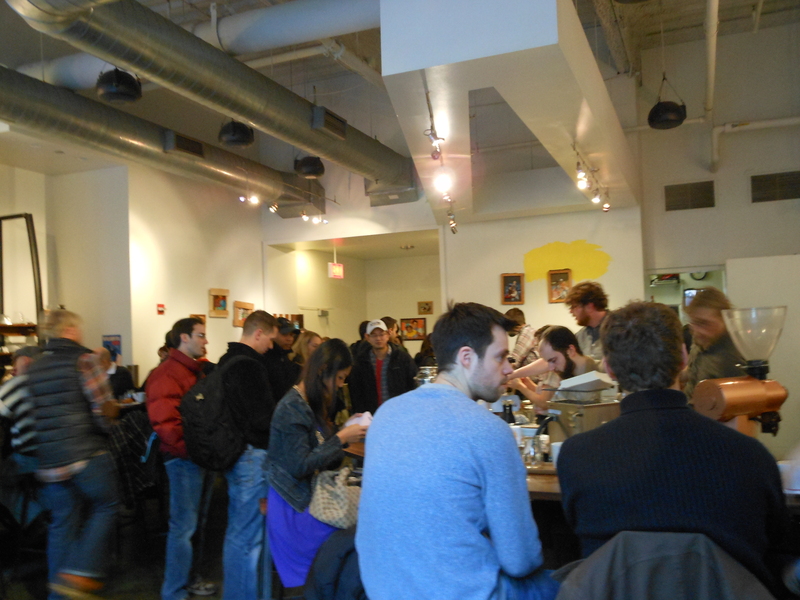 As someone who works in the specialty coffee industry, I have had the pleasure of drinking Intelligentsia coffee many times, but I had never been able to go to an actual Intelli location. I was not disappointed. We came in around 1pm, and it was packed. There were 4-5 people working on bar, and they had the line flowing well. As someone who sells coffee gear, this place made me giddy. From the Mahlkonig grinders to the offerings of Eva Solos, Siphons, Chemexes, and V60 Pourovers, Intelli offers anything my coffee-snob heart could desire. I ordered a Single-origin espresso. I also bought a bag of Zirikana, Rwanda coffee and an Intelli mug. Because I was buying the mug and coffee, I got a discount on the nearly $5 espresso shot, which was cool. I’m not one to talk about mouthfeel and tasting notes and all that stuff, but I will say that this was the best espresso I have ever drank in my life. No joke. It was legit. 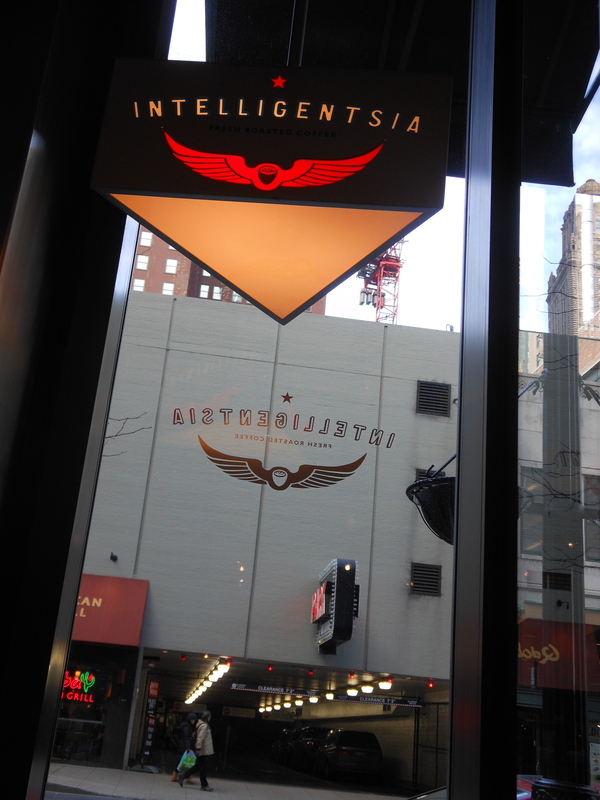 Next time you are in Chicago, you need to check out Intelligentsia. Whether you are a coffee snob or not, they will treat you well and give you a great cup of coffee. Awesome! Next time I am in the Chi-town area, I will have to check this out. It sounds really good, and like a fun experience, too. That is where I had my “aha!” moment with specialty coffee. I’m glad you got to visit!